Taking the kids on vacation this year? You don’t have to cross the continent to find great travel adventures; sometimes the best ones are right in your own back yard! Kingston, Ontario is a well-known destination for summer travel. The limestone city is home to many wonderful sites, and events, making it a very active tourist destination. You’ll be amazed how much there is to do in Kingston, whatever the weather! 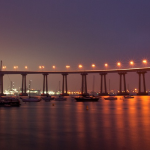 I live 57 min from the beautiful city, and it is one of my favorite places to visit. 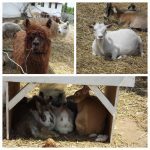 Whether I am enjoying sorbetto at Mio Gelato, taking my daughter to Playtrium, strolling through Confederation Park, enjoying a 3 hour cruise through the heart of the 1000 islands, dining at one of the fabulous restaurants, picnicking at Lake Ontario park or walking the downtown streets, Kingston never ceases to amaze me. Summer is undoubtedly the busiest season for events and festivals in the Kingston region. The area boasts many special events during the summer from the annual Kingston Buskers Rendezvous, which takes place July 7, 2016 to July 10, 2016 or the Princess St Promenade. On Saturday, July 30, Princess Street, from Division to Ontario, becomes a pedestrian only zone. Retailers, restaurants and other Promenade participants offer activities throughout this day-long event. Past years have seen Princess Street packed with everything from climbing walls to bouncy castles, caricature artists, live music and expanded patios! It is on my bucket list, to attend. 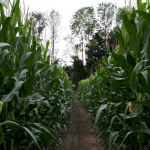 If you head to Kingston August 1st, be sure to work your way through the Wolfe Island Corn Maze.(wolfeisland.com/maze). There is nothing like a Kingston summer, and your water-loving little ones will play happily for hours at one of our many splash pads. 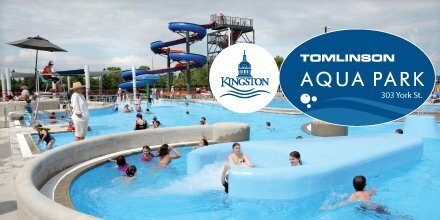 Kingston’s favorite waterpark at 303 York street offers a 10-metre water slide, a lazy river, toddler pool, family and accessible change rooms, shaded areas and zero-beach entry. 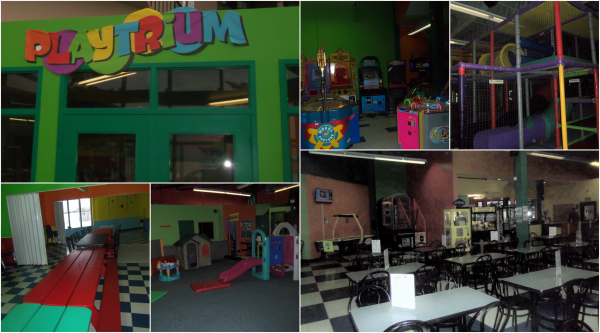 Rain, or shine- Playtrium is a fun place to visit. The 3,000 square-foot multi-level climbing structure with tunnels, ball pit and slides invites kids of all sizes to have fun and explore, while those who like their entertainment on a screen can visit the arcade. Toddlers will have a blast in a separate carpeted area equipped with a playhouse, climber, slide, ride on toys, plus, their very own up and down roller-coaster. Playtrium also boasts a climbing wall, reading area (quite time), and birthday area. Children of all ages can enjoy snacks in the café with ‘kid approved’ pizza, fries, hot dogs and more. Socks are mandatory for everyone here. If wearing sandals, be sure to bring some socks along. Outdoor footwear is removed and left in the coat area. Parents will appreciate that safety comes first here. The Playtrium is a secure facility with magnetic locked doors. No one can leave without being signed out by one of the employees. 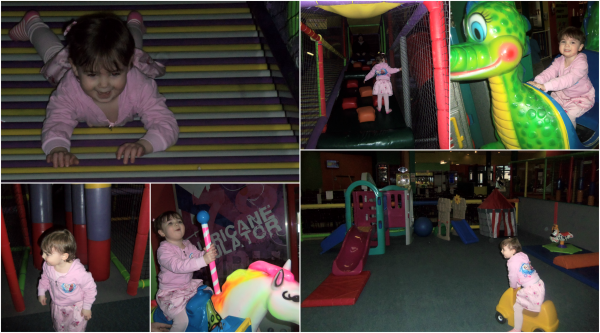 We took my daughter to Playtrium in February for her 3rd birthday. She was blown away by the huge multi-level play structure, which my husband even played on. 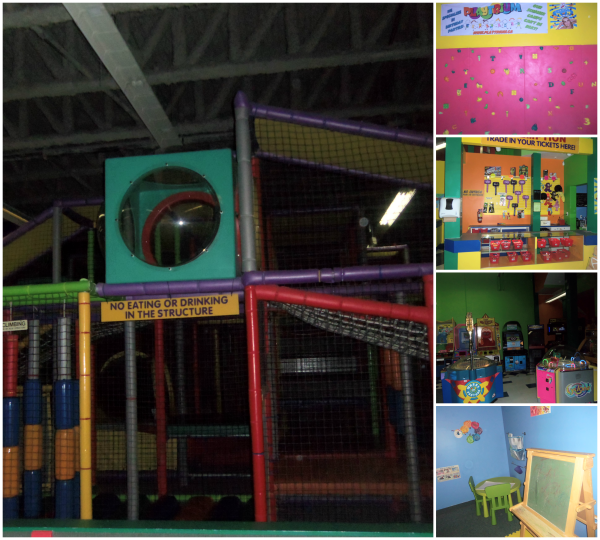 We found the indoor playground to be super spacious and very clean when we visited. For the adults who are not chasing a toddler or preschooler there is lots of place to sit and relax. I did find general admission to be rather expensive, which grants admission to the play structure, toddler area and quite room only. The arcade games, and rides are extra. Aside from that and some mother ignoring the sign not to go down the slide with her child, or throw balls in the ball pit, we had a wonderful time and will visit again. For those visiting Kingston, Playtrium hosts a Kid’s night out drop off program on Friday evenings from 4-8 pm. 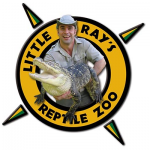 This is for children 4-12 and the cost is $25 per child and includes a free $5.99 value meal. Pre-registration is required and spaces are limited. July 23rd is Playtrium 3rd anniversary. Admission is half price that day. Festivities will be taking place between 11am-3pm. Entertainment will come and go throughout the day. RJ the Balloon Dude will be scheduled for 2-5pm. 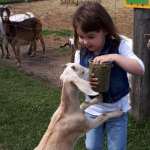 There will be spontaneous character visits throughout the day, free Cake, face painting, prizes, cotton candy, a silent auction in support of Easter Seals Ontario and special vendors. Like Playtrium on Facebook or follow them on Twitter. 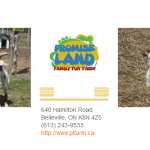 If you are looking for a child friendly hotel In Kingston, check out these reviews. Residence Inn by Marriott Kingston Water’s Edge. I came to Ontario in 1976 with my 4-H group to see the Summer Olympics. It was a beautiful place to visit. I’d love to go back again some day with my kids & grandkids. I know they’d love this place & what a great spot for them to have fun. Looks like a great place for the kids to let loose and go wild!! Sometimes I wish I was a kid again..lol! !